As a Christian, fervent Catholic and one from a Catholic Family, It saddens us to know that our House is on fire. Jesus Christ has always recommended peace as a watchword in times of conflict of any kind. The Problem in Europe today has culminated in the high levels of disbelief amongst people who were hitherto catholics stems from the internal problems within the church itself especially in Belgium which is a traditionally CatholicCountry. Many people do not believe in the divine works of the church again because of the plethora of atrocities that has consumed the church over the past decades. The priesthood is a divine institution and the “premarioum monum” ( fundermental responsibility) of priests is to proclaim the good news of Jesus Christ and to live exemplary lives so that they will bring more people closer to God . They are called upon to imitate the mystery they celebrate ; to model their lives on the mystery of the Lord’s cross. The priests willingly and intentionally took a solemn vow during ordination; the vows of chastity, poverty and self-abnegation. Thus , it is absolutely ludicrous and incongruous for such a memorandum to come from the Association of Diocesan Priests(ADP) of Buea. True discipleship should be exercised at any place and at any time; geographical location and time is irrelevant. . They must be ready and at all times to pick up their bags and go out to the world to proclaim the good news. They mentioned many things in their memo which made their association sound like a political party. This include inter alia: Firstly, they complained about the sporadic and many transfers by the Bishop of the Buea Diocese and even compound the whole issue by describing some transfers as being “rash and inhuman”. Those very words speak for themselves, it’s a glaring proof that most of our shepherds are missing the very core of their mission as priests; that of boundless evangelization. They do not have to see that as ‘punishment’ or ‘suffering’. If they do , then they must think succinctly about their priestly vows. Diocese of Buea. Bishop Pius has a car and if they are now complaining that he lacks a good car , then one begins to raise many questions as to the true identity of a priest. Administration especially within an academic institution of Higher learning needs competent personnel and therefore,not every ordinary priest can handle such a position unless the Church has specifically train you for such. Besides if a competent individual holds ten different positions in the church and he is responsive to the task, what is wrong with that? The question should rather be; is this person carrying out his duties well? Is the church experiencing sustainable spiritual growth? Those are the types of thought-provoking questions that should spring up and not whether it is Mr A or B who has to occupy a certain position. In recent years, the Diocese of Buea has been experiencing an expedient growth and that has been discernible and conspicuous. That is what is important in the eyes of God. If you look at those at the helm of those Catholic institutions of Higher learning , you discover that most of them have been trained by the mission to perform such tasks and they have been doing that well. It is true that change is important but should those people be changed should commensurate with a specific task or duty. With all due respect, His Lordship must also be cautioned and reminded the “power corrupts and absolute power corrupts absolutely” Thus rather than accumulating one priest with a particular function, we think the Bishop should train more priest to carry out the specific mission of the Church and also Priest should be given the opportunity to prove their worth.We know the Bishop has the powers to effect transfers but this should be done following the Canon law and with the individual mind of the Bishop, also the Bishop as a father should consult the appropriate authorities before taking certain actions in the Diocese. 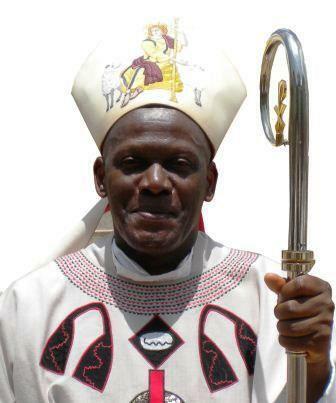 For instance , the Association of Buea Diocesan Priests (ADP) alleged in their memo that His Lordship signs contracts involving huge sums of money on the behalf of the Diocese without consulting the Curia and Diocesan Lawyers which are all legitimate authorities that should be involved in such a venture . This again raises the question why such a thing should happen in the first place by His Lordship Himself? The likelihood is that there will be serious misunderstanding and misinformation in the event of any future problem. They have also alleged that the diocese has been taken to a court of Law for owing a sum of 2 billion frs. This is not a good image for the Buea Diocese and the catholic church as a whole . We regret bitterly the channel used by our clergymen to point out certain irregularities in the diocese; the proper medium would have been a meeting with His Lordship to air their grievances and not to come up with a memo of this sort claimed confidential though it has been leaked by same priests and consumed by the press and public as a whole . The repercussion abound and will present a greater problem to the world than what seems to exist and many different stories will spring up difficult to prove . It will go a long way to present a bad image about the Catholic church in Cameroon and not just the Diocese of Buea. More importantly, this may affect the attitude of the sheep as their shepherds have proven to be wayward by not knowing how to contain a problem within their diocese. The Laity might start loosing faith in the preaching of their priests which is not a good omen for our diocese. Following the Words of Dr.King “The ultimate measure of a man is not where he stands in moments of comfort and convenience but where he stands at times of challenge and controversy” Priests are called upon to live by the very words they preach,they are called to be true disciples . We call on Jesus Christ to take control over any distraction of the devil in the Diocese of Buea and the Catholic Church in the world.